What is the World Arch Database? Commonly known as the “WAD” in arch hunting circles, the World Arch Database is the premier site for information on natural arches and bridges worldwide. Whether you’re a photographer, hiker, mountain biker, paddler, boater or just about any other kind of outdoor enthusiast, the WAD will help you to know which arches are the best ones to visit or photograph within your area of interest! 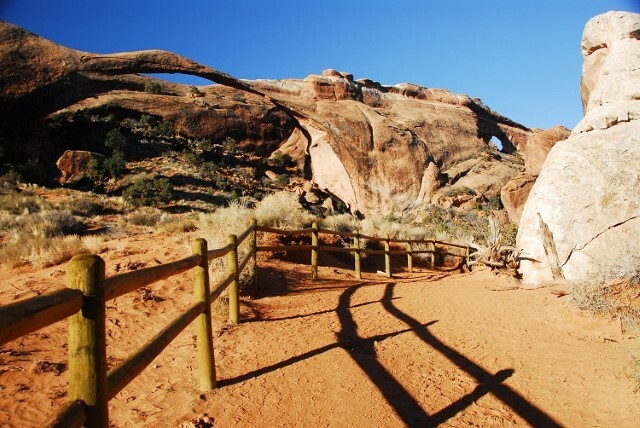 While other web sites dedicated to natural arches are great fun and have lots of information and photos of arches, none of them are comprehensive. Nor is the data they contain searchable and useful for outdoor enthusiasts. The WAD contains data on over 8600 arches and bridges worldwide and is continuously checked and updated by arch hunting experts. And it works on PCs, Macs, tablets and most smartphones! search for the most photogenic arches; every serious landscape photographer should have the WAD in his or her tool box! create a .GPX file from the results page for uploading into your favorite mapping software! The WAD is much more reliable than user-defined mapping sites such as Google Earth. 1 Year Subscription $22.46 World Arch Database online subscription service – 1 year subscription retails for $24.95. Your price only $22.46, save 10%! Save even more with multi-year subscriptions – the longer you subscribe, the more you save! 2 Year Subscription $39.92 World Arch Database 2-year subscription $49.90, now $39.92. A good deal, you save 20%! 3 Year Subscription $56.14 World Arch Database 3-year subscription $74.85, now $56.14. A great deal! Save 25%! Arch Wednesday – FREE! Arch Wednesday is your email update for arch reports from around the world, as reported to the World Arch Database. Arch Wednesday Archives – FREE! Access and read all previous editions of Arch Wednesday from our archives.